Waking at 06:10, we packed the last few items and headed out the door. It was raining, so we got to use our bag jackets for the first time! We walked to the bus stop, but got there quite early, so decided to pop to McDonald’s for a spot of breakfast. McDonald’s was closed, though. We walked back to the bus stop and the earlier bus was coming, so we hopped on the earlier one with the hope of getting to the bus station earlier to grab some breakfast! We got to the bus station and bought a cappuccino each and ate chocolate muffins that we had left over from last night as our breakfast. We were there quite early, but we walked to where the buses are and found Josh there waiting for us, so we stayed there until the bus arrived and now we’re on it! Once we arrive in Ancona, we will be heading straight to the ferry and checking in, hopefully getting on and securing the best seats! 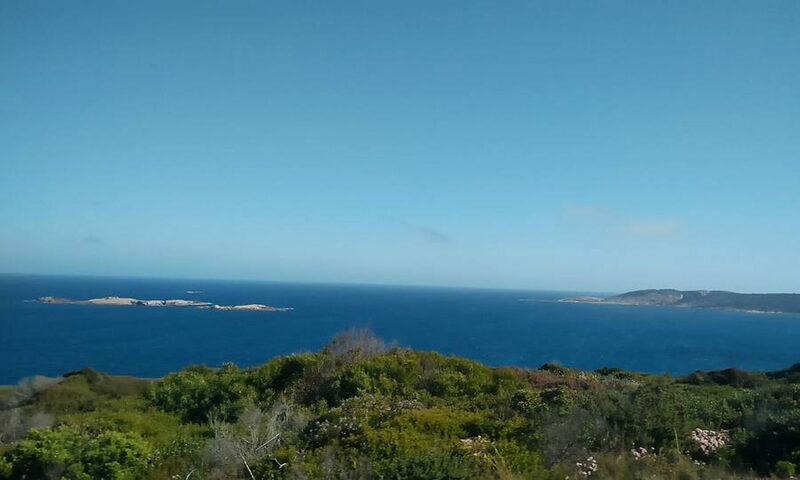 Then, we have a nice 12 hour ferry ride to the next place, where you will receive further updates! 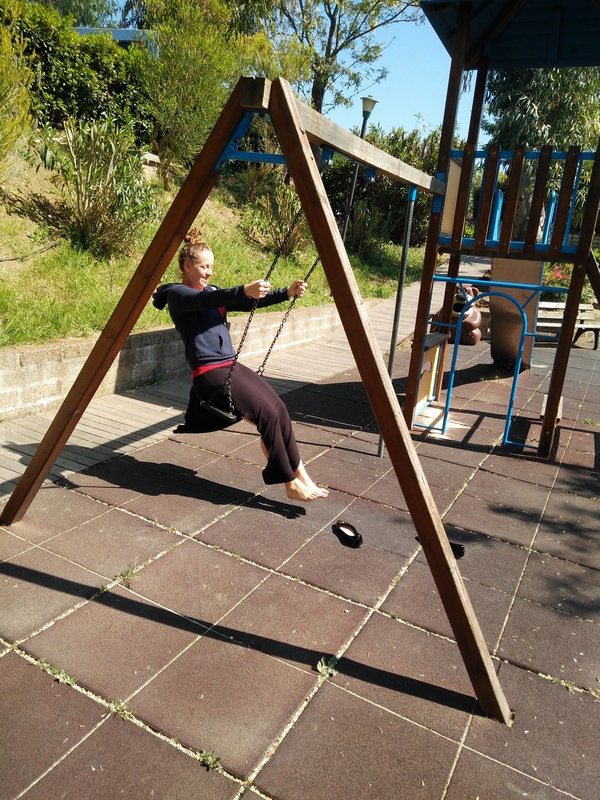 Place 6 – Day 45: Rome – Last Day! Today was our last full day in Rome! We woke late, as usual, but had to wait for the cleaner to leave before making breakfast! Kim made a big breakfast with eggy bread, fried eggs and sausages. We have a lot of chocolate powder left, so we have been drinking a lot of chocolate milk! We went in to Rome again to do some travel administration and then headed back to the apartment for some dinner! We had some chicken pasta again, followed by a chocolate muffin! Josh is back in Rome after being in Naples, so we are catching up with him tonight as well as some people from the hostel and then we’ll be back to the apartment for some sleep and up early to catch a bus to the bus station, followed by a bus to another location and then finally a boat to our next main location! A lot of traveling tomorrow, but we’re glad to move on! Last night, we left the apartment at about 21:30 and walked into town, which takes about an hour or so. We went to see someone that works at the hostel we worked at, just for a catch up! We stayed there until around 01:30, before taking the 1 hour long walk back to the apartment! Some other guests were being very loud at 07:00 this morning, so we were awake from then, but then had a bit more sleep before waking around 12:30. We had breakfast which Kim made, some lovely eggy bread, chocolate milk and coffee! After this, we did some walking into town, Kim trying to find a top for when we’re carrying our bags, but did not find any. Kim saw a couple of dogs! We then went to the supermarket to get dinner and Kim made pasta with minced pork and mushrooms! Tomorrow we may go to see our friends at the hostel again, but will make sure we get some sleep as we’re up early to catch a bus! Please note: WiFi is iffy, so photos will not upload to the blog! Check the link for Photos to see the photos from our time in Rome! We woke at around 9:30am to head out to our last place to stay, with just 3 nights remaining in Rome! After checking out of the campsite and having the usual croissant and cappuccino from McDonald’s, we began the walk to the Metro station. Today was much hotter than other days have been, but we packed smart so the bags didn’t seem as heavy and we were wearing comfortable clothing! Once we got to the metro, we were on there for about 7 stops and then we had to catch a bus to the other side of Rome for our next apartment. After waiting for the bus for 45 minutes and then being squashed into the bus like sardines, it was nice to have a little walk. It was only about a 10 minute walk from the bus stop to the apartment, which is very nice! There are balconies, free coffee, nice kitchen, 2 bathrooms and a double bed in a nice light room! We share the place with 3 other rooms, but it doesn’t seem that anyone else in here at the moment, so we have it all to ourselves! Once we got our stuff in and settled, we took a walk to a supermarket (the largest so far!) and bought some food for lunch and dinner. We have a lot of pasta left over and it’s effort to carry, so we’re trying to use it up! For lunch, we had a lot of pesto pasta, and for dinner it’ll be chicken with pasta followed by chocolate pudding! Curtis had a coffee because it’s free and the plan is to have a coffee on one of the balconies tomorrow morning! Later, once we’ve had dinner, we’re going to walk into Rome and see someone from the hostel just to say hi! We’ve no plans for tomorrow, but being fairly close to Rome, it doesn’t rule out having a strole there and just walking around. Not long until we leave now! Today was another relax day. We didn’t wake up until 12 ish, and then we just relaxed, watched some TV and then went out to try and find a park to walk around. Our attempts at finding the park were poor, as we were unable to locate it. Instead of the park, we found some nice expensive houses, and that was it! 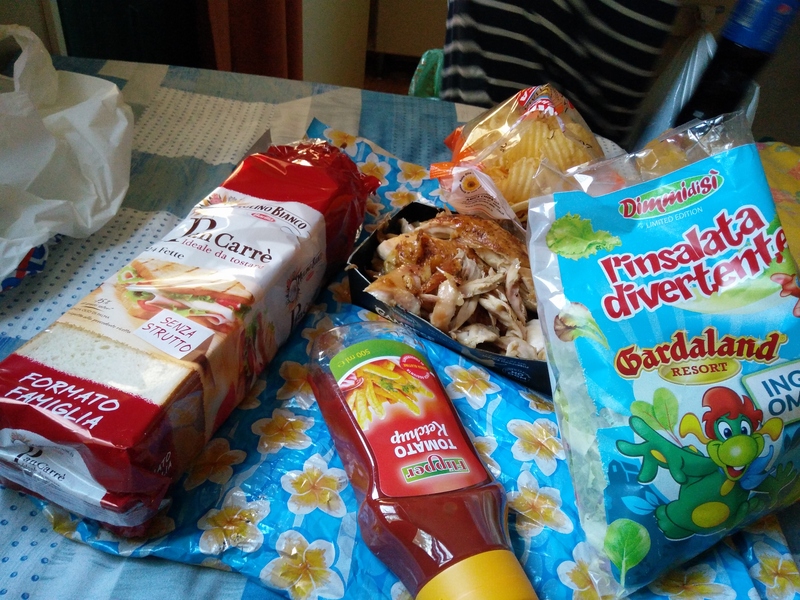 We went to the supermarket on our way back and bought a rotisserie chicken, salad, bread and crisps and made some nice chicken sandwiches for dinner! There was no McDonald’s breakfast today, so we could spend a little more! Tonight consists of packing as we’re moving to another place in Rome for the last 3 nights, before we catch a bus for our next location! We were planning to head into the centre today, but Josh had stuff to do, so we decided to stay in and book some more things. We managed to book some things, but some people declined our requests which was frustrating! We booked a flight & some accommodation, so lots of different things done! Productive day! We went out for dinner, just some greasy chicken, that’s what we fancied! Tomorrow’s plan is about the same plan.. We’re enjoying sleeping a lot, waking up late and just booking more! Booking is making us exciting! Sorry that the blog won’t be too interesting for the next few days, but once we move to the next location, it’ll be awesome! The plan for today was nothing. We woke up at some time after 12, which was much needed, we think! We had no plans, so looked into some more of the places we needed to book, before heading out to find something for dinner. We walked to a further away shop, but beforehand Kim decided that the park was somewhere she wanted to visit! 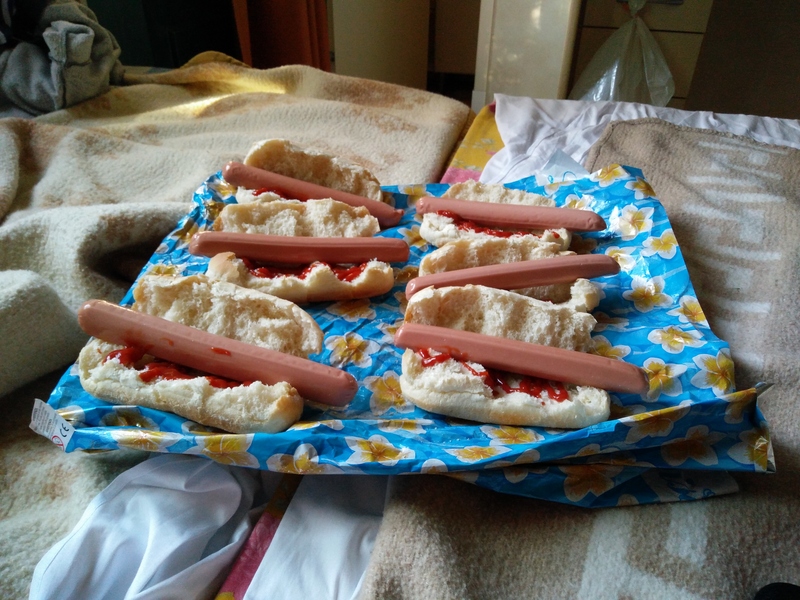 We got some hotdogs and hotdog buns and, because we have nowhere to cook, we had cold hotdogs! Very tasty! We stayed inside just watching some TV and then headed out to the shop for some ice cream. 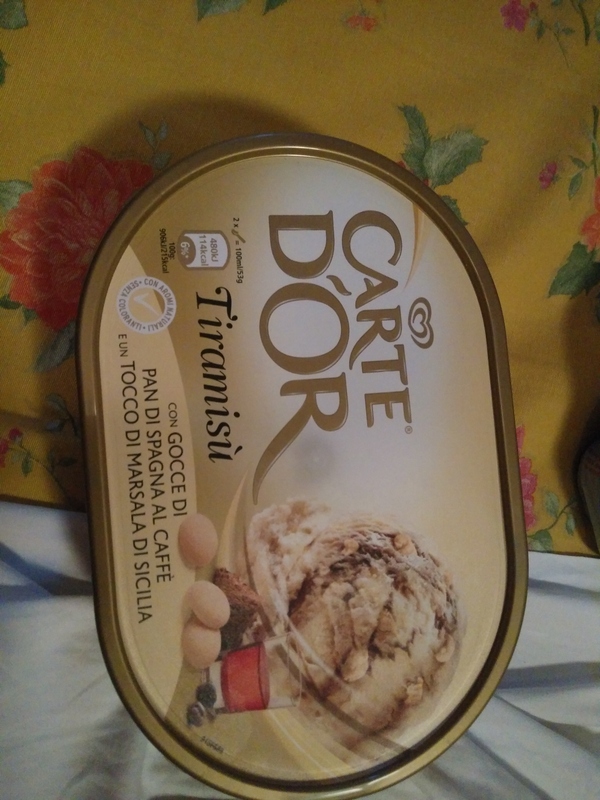 We found some Tiramasu ice cream for a good price, so got that! Along with this, we got some drinks. 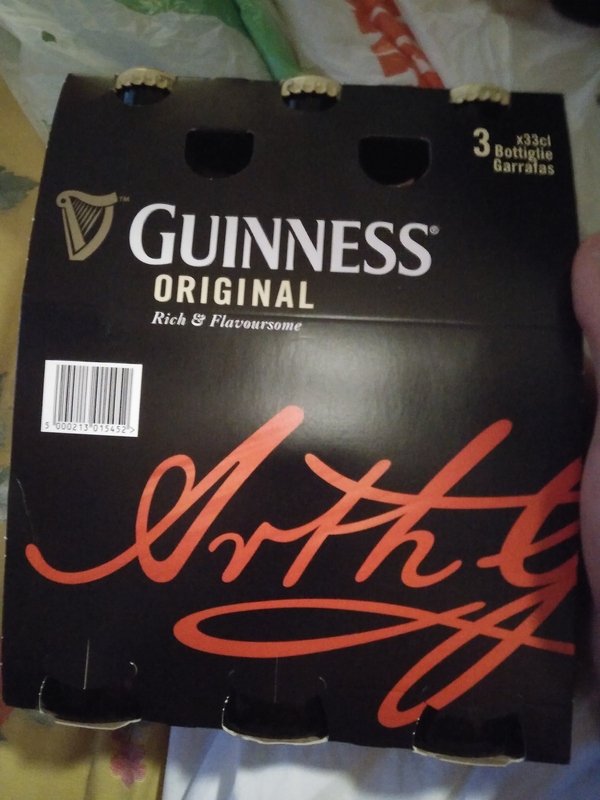 Kim got a bottle of lemon Pepsi, Curtis got some Guinness because it’s on deal and… It’s Guinness! Why not have some cheat days, eh? !